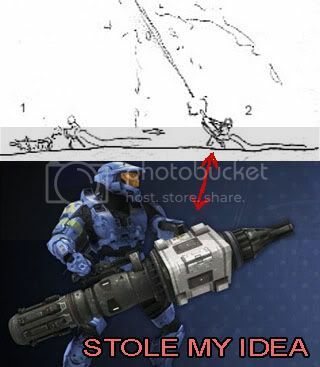 The Only Halo Comic We'll Ever Do. I've always wondered where that skull comes from. As for Halo itself, I'm not a hater, but I'm not a lover. Its a great party game, but I could never play it for more than a couple hours a month or so. Lots of great art behind it, but I feel it falls under a hybrid of Science Fiction before it. I need a fourth panel. We are still in need of a website design. er. To design the colors and such for the page. Not the coding part. We have people for that.